It was the Popes who, during their period of residence in Avignon in the 14th century, discovered the special Châteauneuf du Pape terroir and chose the village as their summer residence. Consequently, Châteauneuf du Pape wines attained “Papal Wine status”. In the late 18th century, the winemakers of Châteauneuf-du-Pape began to ship their wines in bottles rather than barrels. The appellation earned a considerable reputation throughout Europe. 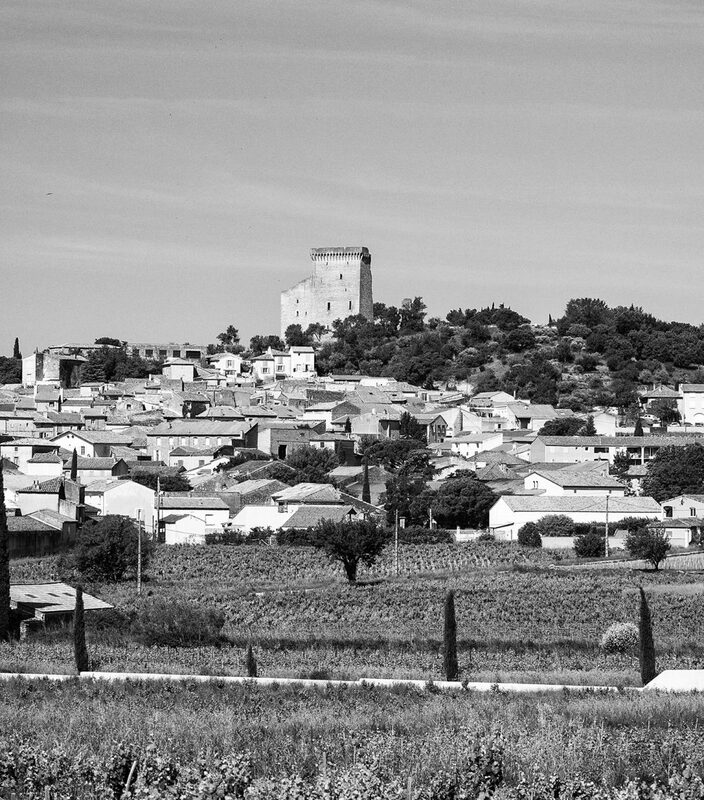 Châteauneuf du Pape was at the forefront of the AOC (Appellation d’origine contrôlée) system in 1936 and its winemakers were the first to agree to strict production rules. Châteauneuf du Pape wines come in bottles emblazoned with the papal coat of arms. Created in 1937, the crest helps to promote and develop the reputation of the appellation and provides a guarantee of provenance. The SERGUIER estate was established in the late 19th century by Hippolyte Serguier who later passed it on to his sons, one of whom was Gaston Serguier. It later passed to Gaston’s grandson (photo). Daniel took over the estate in 1997 – almost 100 years after its founder. Historically made up of 6.5 hectares of vines across almost 14 plots in the Châteauneuf du Pape AOC, the Serguier estate cultivates a mosaic of terroirs which provides a rich source of inspiration. Daniel’s wife Aurélie joined the family business in 2015. The acquisition of vines in the Côtes du Rhône and Lirac appellations extended the vineyard, taking the area of the estate to 12 hectares. All members of the family are involved in this new project, creating wines which reflect our traditions. We produce powerful reds on the galets roulés of Les Terres Blanches. At Le Pointu, we make more delicate reds. At Le Pialons, we marry elegance and power thanks to venerable old vines, and the sandy-clay soils of Coste Froide produce white wines. Respect for the expression of the terroirs is our guiding principle right across the vineyard – it characterises all our wines. The vineyard is operated responsibly and everything we do is guided by careful observation of nature. We are committed to keeping treatments to a minimum (those we do use include authorised organic agriculture products). No insecticide is used in the vineyard: spiders, ladybirds and other insects are all part of our ecosystem. We rely on sexual confusion to keep away parasitic insects. During the winemaking process, the grapes reach full maturity in September or October and are then picked by hand. They are packed in 30-kilo crates and are taken to the wine-cellar where they are usually de-stemmed and then lightly crushed. They are left to macerate for 3 to 5 weeks depending on the vintage. Temperatures are carefully controlled to release a full range of aromas and colours. When fermentation is complete, the wine is racked to clarify it and is then put into casks (important stages in the aging of wine). During maturation, the wine does not undergo any kind of chemical procedure, such as fining, or mechanical process such as filtration. When maturation is complete, the wine is bottled (about 18 months after the grapes were harvested). Since our red wines are clarified only by racking, some build-up of sediment may occur in bottles during aging.